• Utilizes standard NC Spot Drill holders, also can fit with CT insert ( suitable for spotting, chamfering, grooving and engraving ) , SW insert ( 60° and 90° engraving ), PR insert (center hole similar to DIN 332 Form R), corner rounging insert. • Applications: Spotting, grooving and chamfering. • Spotting before drill, create high performance & accuracy position of hole. Utilizes standard NC Spot Drill holders. 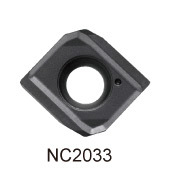 NC2033: K20F grade, for steel and cast iron. 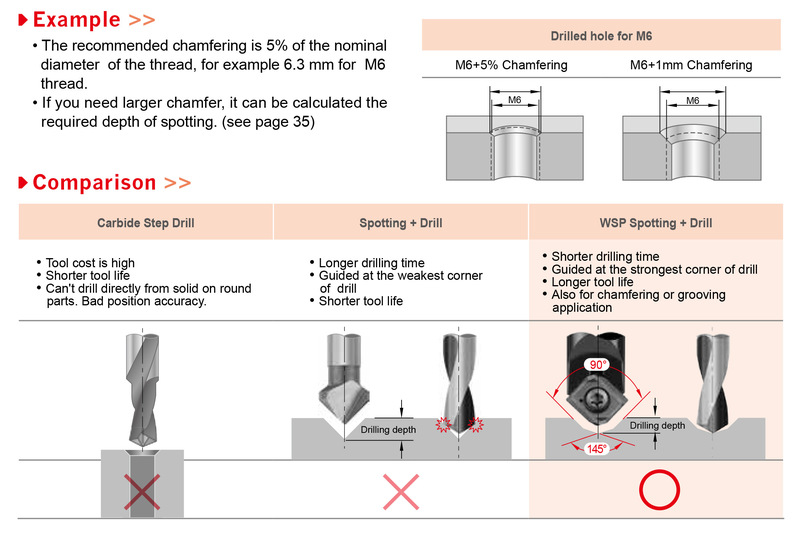 *Combined spotting & chamfering 145°+90°, also for chamfering or grooving application. Fully ground cutting edge and relief angle.